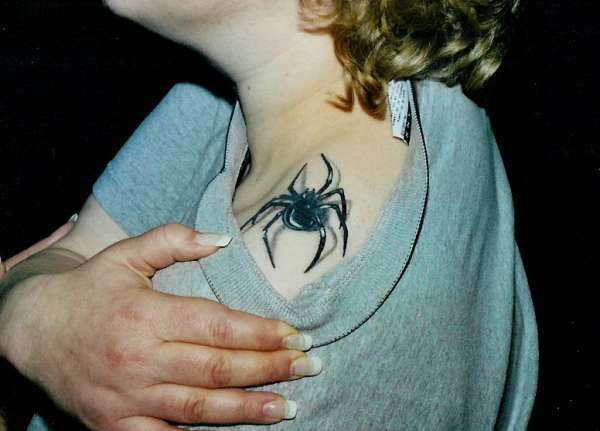 My shoulder would be permanently bruised from me whacking that realistic looking spider if it was on me! Very good tat! Great shading and 3D, 10 from me..